BTW I am selling clothes on POSHMARK ! 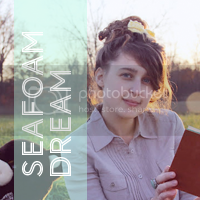 lots of cute stuff & if you see something you'd like to purchase mention "Seafoam Dream" in the comments for a discount! photos from Giant Stairs hike earlier this summer. I've been thinking about this little forgotten blog of mine and was feeling sorry for it. I scrolled through and was reminded of small, simple moments of my daily life and also big amazing adventures. both beautiful. I know the internet is saturated with this stuff, but these are my moments. and so .. the collection of the 2 here will continue on. I just added this amazing vintage ombre cardigan to my shop! I am sooo in love with this piece of well made, ombre goodness, but unfortunately it's not the right fit for me. When John saw that I was putting it up for sale at The Fancy Bear Vintage he seemed disapointed and said "you always sell all the best pieces of your wardrobe!" It's true, the best finds never fit and I just want them to end up with someone who will appreciate them and wear them all the time. Anyway, I guess this is my love note to a cardigan. 2014. Trying to balance work / my etsy shop / doing things I like to do. Trying to want to be social. Trying to be positive and bring light to most things. Trying not to eat too much chocolate. Trying to imagine my dreams coming true. Trying new things. I know Christmas is over, but I thought I'd just share a few of my favorite ornaments on the tree this year before they get packed away. This year has been pretty strange. I hope 2014 treats you all well. I'm still here! I know this blog is very inconsistent... I've just moved and started a new job so am trying to find time for all things I like to do and have to do. I do like to share photos and words on here very much. Mostly for myself to look back on but I do hope anyone scrolling through enjoys it as well. These boys are my favorite. My love and his little brother. John has always loved to take care of his baby bro. It's very sweet. They definitely have those times when they bicker and argue like animals too, but that's expected of siblings, right? Anyway, these photos are from Nike Park in Clausland Mountain. There recently had been a fire there so we went up to check out the damage. It wasn't as bad as we had expected, though it was freezing cold so we didn't explore for that long. I'm pretty sure this is the last of the October photos I wanted to share. The photos of pumpkins and gourds are from a farm stand in Sleepy Hollow. The fall foliage shots were taken right from my front door. Like I said, I'm a bit behind on sharing my October photos. These are from a few days before Halloween at Sleepy Hollow Cemetery. We went there this time last year too. I love walking through the cemetery, it's a very beautiful place. We walked through a vacant outdoor haunted house again as well. I promise only a few more October photos and then I'm willing to move on, though it's already getting so cold I don't think I want to. I know it's a little late for Halloween costume photos, but I figured better late than never! I wore this super simple cat costume walking around town and to hand out candy. We thought we would be going out for night time festivities but ended up staying in to watch Nosferatu and bake oatmeal raisin cookies (not surprising!). I have a lot more spooky photos to share so try to stay in the Halloween spirit just a little longer please. Design by © andrea brionne.